release date: february 15, 2018.
piano solo composed and performed by kirill shirokov. 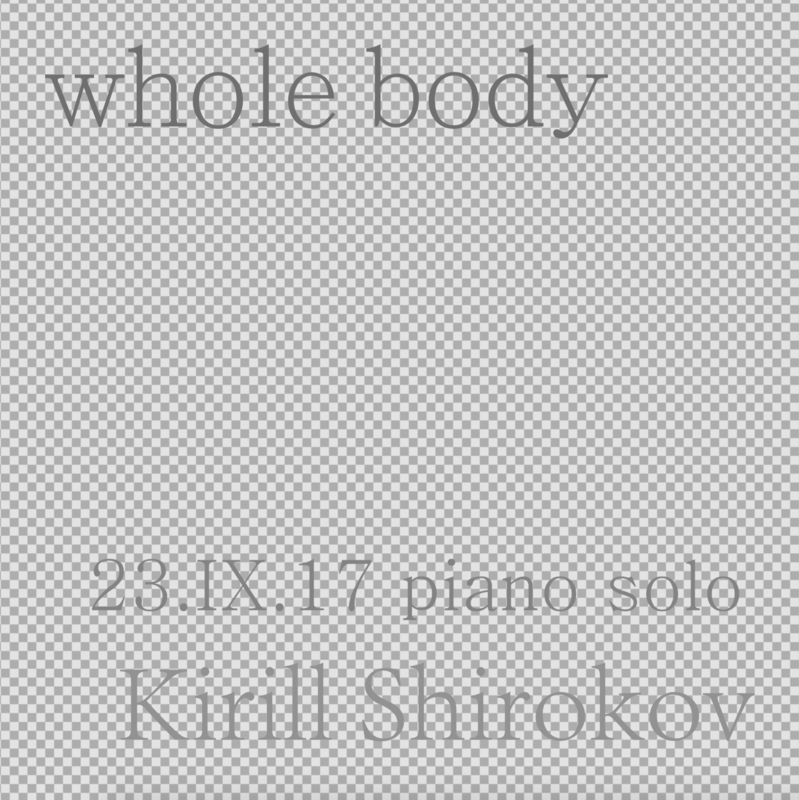 the whole body has been performed on fair upright piano in a room that was not prepared for studio recording or concerts. the work by keys, strings and other parts of the piano body made with the pianist’s fingers, hands, legs is not in the format of any hierarchy, and different types of sounding material are organised non-hierarchically. the title term the whole refers to fullness in relations between different elements of composition, not that the whole world set of possibilities was used there, but various possibilities with completely different sets of properties were used, explored in spontaneous movements and rendered into two-parts-composition. thus, this is one possible version of the whole (inside the other possible whole which may also be inside the other whole etc. ).